The Hong Kong Blockchain Society (Chinese: 香港區塊鏈學會, Japanese: 香港ブロックチェーン学会, Korean: 홍콩 블록체인 학회, Hanja: 香港 블록체인 學會), abbreviated to HKBCS (Chinese:港鏈會), promotes sustainable and mature of the blockchain ecosystem. HKBCS encourages and supports projects that are legal and compliant in Hong Kong and the surrounding region. HKBCS does not promote individual projects nor ICOs. We work with government, academia, and industry to promote legitimate blockchain development through education & training, research & development, advisory, and other activities and services. At HKBCS, we believe that public awareness and knowledge of blockchain technology are essential to its wider application and healthy development in Hong Kong. In fact, the lack of awareness among stakeholders and decision makers is the biggest factor holding back the adoption of blockchain technology. Therefore, through our blockchain academy Dappcamp, we work with local and foreign technological experts, academia, industry representatives, and the government to organise public seminars, workshops, panels, and competitions to educate students and the public on blockchain technology. We are licenced to certify R3 Corda developers, as the only active Corda trainer in China, and possibly in all of Asia. Previous workshops and seminars held by HKBCS covered a wide range of topics relevant to blockchain technology such as its basic principles, related legal issues, business strategies, and even learning to hack Ethereum in order to build more secure smart contracts. Students may participate in the workshops and seminars for free. Student initiatives are run in co-operation with local and foreign universities. HKBCS representatives also participated in conferences organised by industry users, such as the insurance and supply chain logistics sectors, and took part in discussions related to the potential application of blockchain technology in those sectors. HKBCS also takes interviews from print and television media from Hong Kong, the Mainland of China, and all over the world. Another crucial part of our work links to the advancement of the development of blockchain technology. 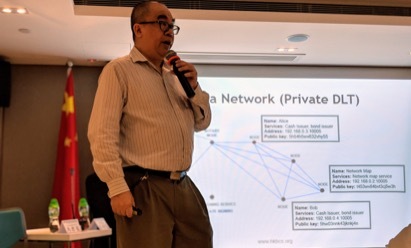 HKBCS works with local universities to operate blockchain development laboratories, where blockchain test networks and blockchain development environments are set up for the convenience of students and researchers. We also bring together local and overseas experts to carry out research projects on a range of potential blockchain solutions and applications. To promote the legitimate and compliant use of blockchain technology, we work closely with connected local and foreign legal practitioners who keep track of and advise academic and government representatives on the latest regulatory development in Hong Kong and other major jurisdictions with vibrant activities regarding blockchain technology development. We provide advisory services to the public and private sectors on implementation and integration of blockchain and DLT, as well as policy formation and drafting regulations. We work with governments across the world, from ASEAN to Africa, up to a national level and a plethora of industries, such as banking, insurance, supply chain and logistics, retail, and so forth. 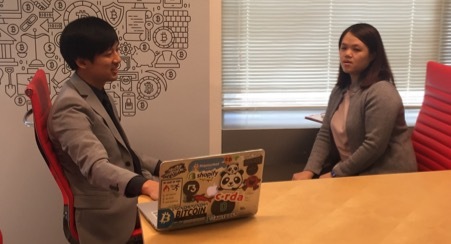 We bridge parties which seek to apply blockchain technology with relevant experts who may provide advice to them, and to provide relevant insights to academic, industry, and government professionals. Our network of technological experts such as software engineers, university professors, researchers, business development consultants, and legal professionals can provide advice to prospective projects that involve the application of blockchain technology from different professional perspectives depending on the needs of such parties. In the past, we have, through our council members as well as external bodies with which HKBCS has connections, provided advice in relation to potential initial coin offering (“ICO”) projects in aspects such as technology, business strategy, and legality. We promote the blockchain and ICO ecosystem, but we prohibit the promotion of any individual ICO projects. In light of the prevalence of ICO scams and non-compliant ICO projects, we hope to encourage the development of legitimate and compliant projects. 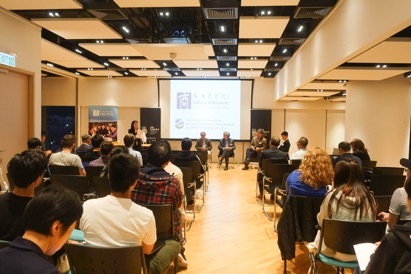 HKBCS welcomes different forms of engagement and collaborations, such as but not limited to speaking events, panels, conferences, private presentations, consultations, and other advisory activities. For organisations that wish to engage us in any public event and display our name, logo, and/or any information about HKBCS in any relevant promotional material, an Engagement Donation of 1 BTC or the equivalent amount in USD or HKD shall be made in advance to HKBCS. HKBCS reserves the right to reduce or waive the requirement for such Engagement Donation at its sole discretion on a case-by-case basis. HKBCS reserves all legal right to bring suits, claims, and actions for any and all causes of action arising from unauthorised or improper use of our name, logo, and/or any information about HKBCS. Hong Kong Blockchain Society does not yet have an official blog, does not endorse ICO projects, and does not engage in any trading of cryptocurencies. We appreciate any news of phishing, impersonation, and other suspicious activities at scam@hkbcs.org — thank you for your support.